Description: Impeccable lake side home in old bridge subdivision. 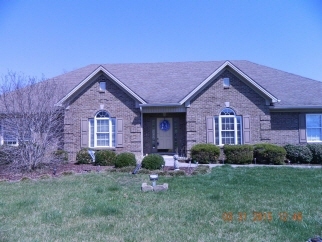 3 bedrooms, 2 baths, with bonus room that could be 4th bedroom if needed. Large kitchen with breakfast area overlooks beautiful back yard, living room has cozy gas fireplace, formal dining room off of wide foyer all combine to offer great space for entertaining or family gatherings. Closet space and storage are amazing in this home and bedrooms are large. Long drive leading to 3 car garage offers ample room for parking. Partially floored area in attic, good flow between rooms, large lot front and back, great neighborhood, good for outside entertaining, very quiet and peaceful. Data believed correct but not guaranteed. Buyer to verify data prior to offer. Agents read agent remarks.